ISLAMABAD: Two day ICT Gala 2018 being organized by Pakistan Computers Association (PCA) concluded successfully at Technocity Mall. 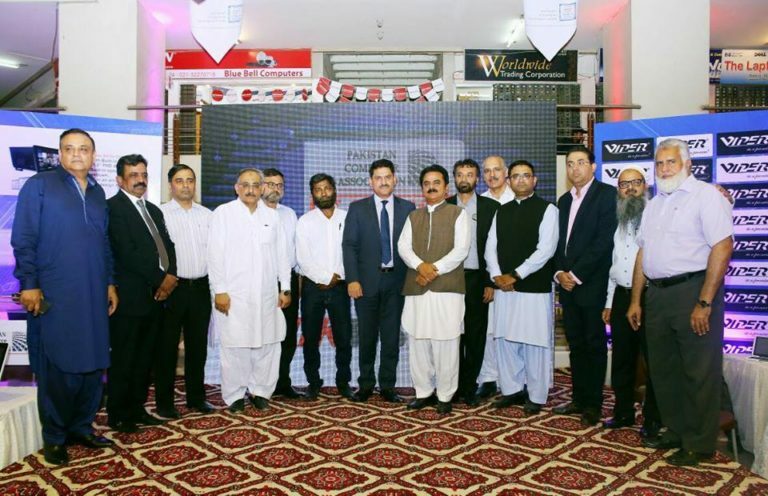 President Karachi Chamber of Commerce & Industry Muffasar Atta Malik along with PCA Chairman, Basharat Baloch, PCA Head of Exhibition, Mustafa Rawat, Vice Chairman PCA Asif Vohra, Vice Chairman South, Syed Ata Ur Rehman Zaidi and others PCA executive committee members was inaugurated the exhibition. In welcome Note, Syed Ata ur Rehman Zaidi VC South Zone, Welcome all the distinguish Guest presented, he also added that this is first Kind of ICT Gala in which only Hardware vendors are exhibiting and with the help of all sponsors and vendors PCA South Zone will try to make it more better in future”. “I would like to mention that the Federal Board of Revenue granted the exemption in the budget 2016-17 to promote genuine imports and render informal and illegal imports as non competitive. However, the parts assembled inside the computers remained subject to 17 percent sales tax. Tax on the import of computer parts including hard drive CPU, monitor and other parts led to 20 percent rise in the prices of the locally assembled systems. Due to 17 percent tax exemption and 3 percent concession in value added tax imported computers and laptops have become 20 percent cheaper”, President KCCI noted. Basharat Baloch highlighted IT vendors problems and gave suggested solutions. Mustafa Rawat spotlighted that Pakistan’s highly professionals seeks their future abroad as there is no potential platform provided for them. For this government will provide investment friendly policies then we can not only curtail our import but we can make sizeable export as well.